There is an ongoing awareness on HIV/AIDS across the world to sensitive people about knowing their status and taking appropriate measures to stay safe. This viral photo was shared online recently by a family. 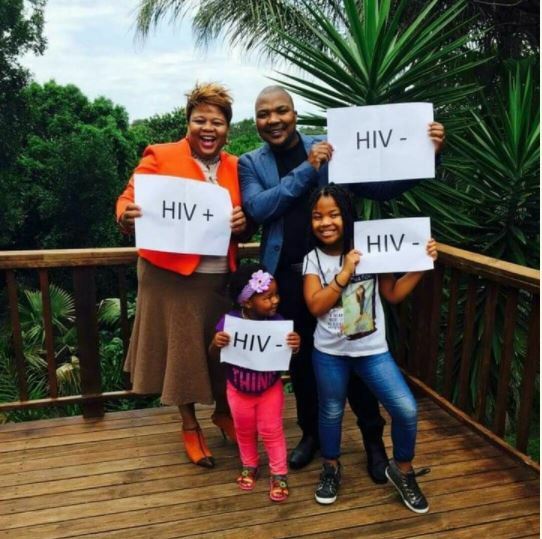 The woman is HIV+ while the husband and the children are negative to the deadly virus. The World Health Organization has constantly advised people to regularly check their HIV status for the betterment of their health and future.